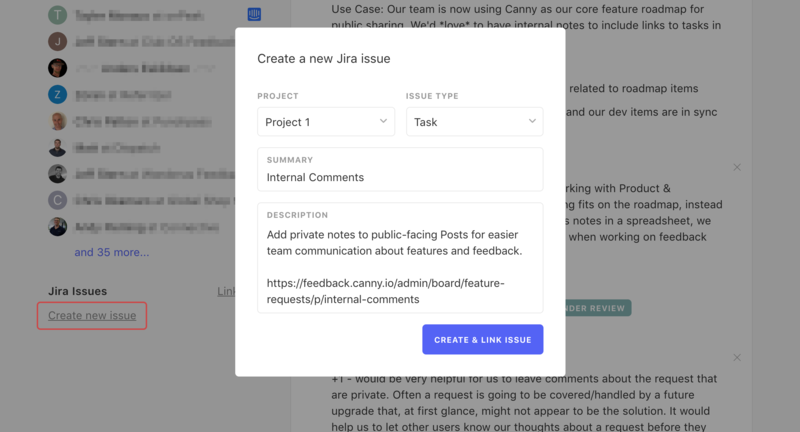 Canny's Jira integration lets you link Canny posts with Jira issues. This way you can associate customer feedback data with project management data. Note: Our Jira integration is only available to customers on certain plans. Visit our pricing page to see if your plan supports it. 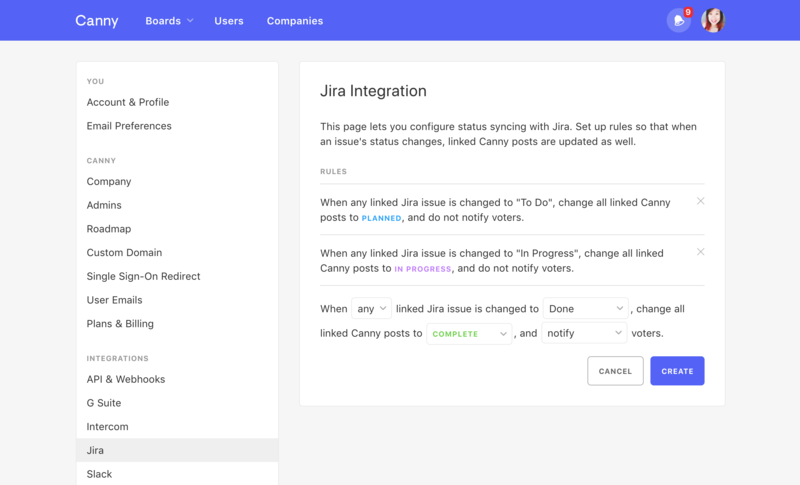 If the Jira issue already exists, you link that Jira issue with the feature request in Canny. This adds valuable context to both products. 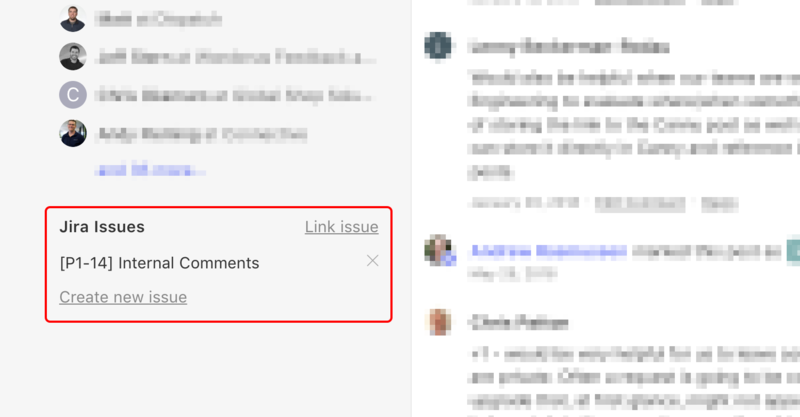 Under your Jira settings, you can create rules so that when an issue's status changes, linked Canny posts are updated as well. 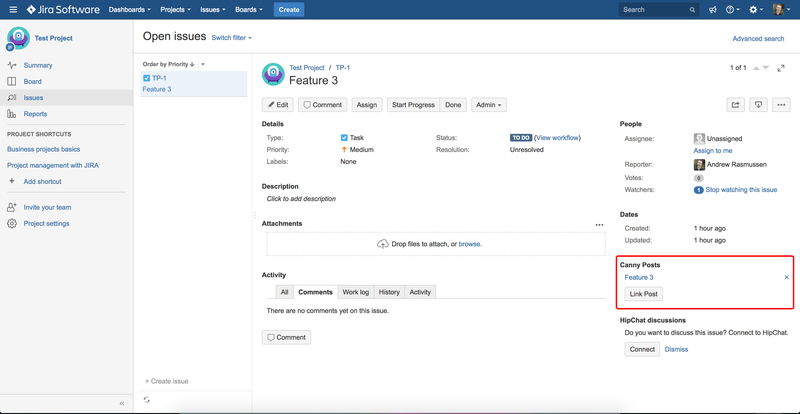 Canny's Jira integration is listed on Atlassian's marketplace. You can find it here. After you've installed it, you'll need to do some brief configuration to link your Jira company account to your Canny company account. 2. Select the account you'd like to sync Jira with, click "Configure Plugin"
If something isn't working, send us a message or email at support@canny.io.